Digital Process Indicators we provide a wide array of process indicators which is widely renowned for its efficiency and authenticity. 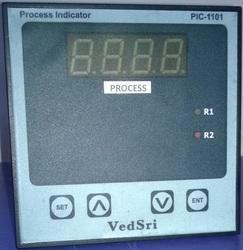 This Indicator is designed for highly reliable electronic components. Offered temperature indicators are manufactured using qualitative raw material that is sourced from the most valued vendors of the industry. Input PMOO, T/C (J,K,R,S), mA, mV Volts. Indication 230 V AC, 50 Hz. 110 VAC, 50 Hz. Accuracy User Specified - mV,mA, V ) 0.25% of Full Scale with Eprom Linearisation 0.5 % of F.S. Operating Temp Operating Humidity 10 to 50 0C 90% Rh N. C. max. 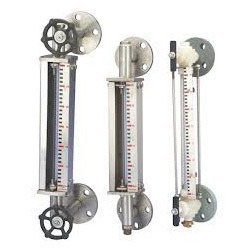 We are the leading manufacturer of Level Indicators. These are available in market in different specifications and models as per the requirements of our clients. Level Indicators are procured from the reliable sources adhering to international quality standards. Offered indicators are suitable for Oil filled Power Transformers and Oil filled Tanks. Input Capacitance Type Adjustability Zero/Span Trimpots. Output 4 to 20 mA DC into 500 ohm. Operating Temp. 10°T050°C. Indication 3 1/2 digit 0.5" LED. Humidity 90% Rh max. Accuracy >2% of F.S Temp. Drift 0.05% / OC. Linearity 2% of F.S. Enclosure Al-Casted. Zero/Span By DIP Switch & Weight 2 Kg Approx. Looking for Electronic Indicators ?